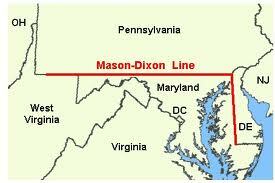 As the clan headed back south today, we crossed the Mason-Dixon Line most literally. We took I-81 for a long stretch, but there was a 35-minute sliver that covered four states: Pennsylvania, Maryland, West Virginia, and Virginia. Theoretically in that short stretch we moved from "The North" to "The South." I can't tell you where the exact line is, and I'm not talking about the big red one on the map. Pennsylvania is a "northern" state, but as the saying goes: between Philadelphia and Pittsburgh it's Alabama. And in our 23 miles in West Virginia, we experienced a power-shower, the only rain on our trip. Not surprising since West Virginia is thought to be cursed ground, the only tract of land that Native Americans ceded without a fight. Hope Falls, WV is the hometown depicted in Batboy: The Musical. 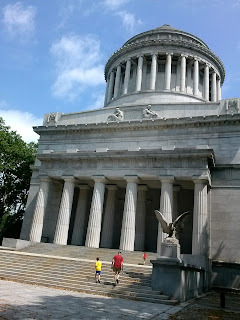 So while I'm not sure exactly where we crossed over, the irony is clear that our day started at Grant's Tomb on Riverside Drive in Manhattan. And it ended at The Stonewall Jackson Hotel in Staunton VA. The North may have won the war, but the South has better weather. So there's that. And Staunton doesn't seem like a southern redneck town. 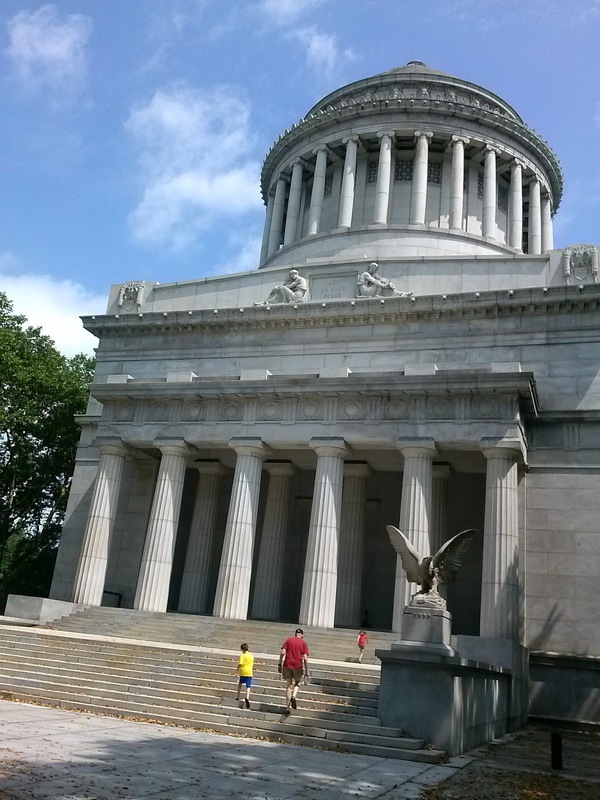 Maybe it's because it's the birthplace and home of the Woodrow Wilson Presidential Library. Maybe it's because there are four prestigious universities within 45 minutes: UVA (Charlottesville), James Madison (Harrisonburg), Washington & Lee (Lexington), and VMI (Lexington). Looks like a good place to hit a bunch of college visits with one stone...wall.